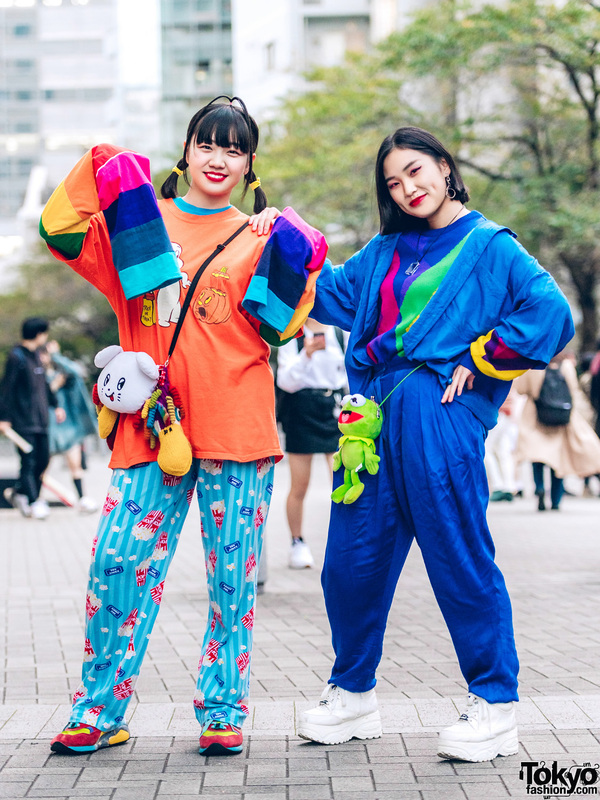 Harajuku girls in colorful street styles with floral coat over turquoise dress, fishnet stockings and platform shoes, ruffle apron top over white button down shirt, skirt over pants, and platform creepers. 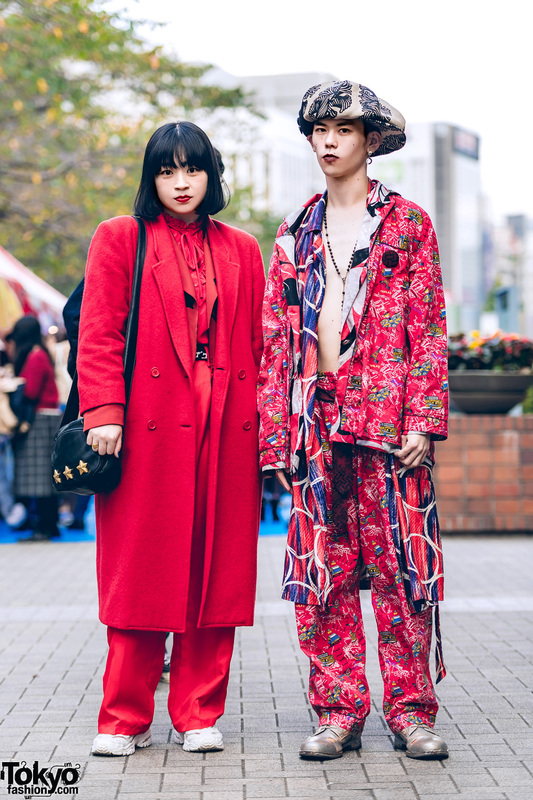 Japanese fashion student on the street in Harajuku wearing a souvenir jacket over a vampire shirt, floral print pants, loafers, and carrying a Gucci logo clutch. Yellow-haired Harajuku student in red t-shirt, silver pajama pants with lace hem, patchwork denim shoulder bag, and platform sandals. 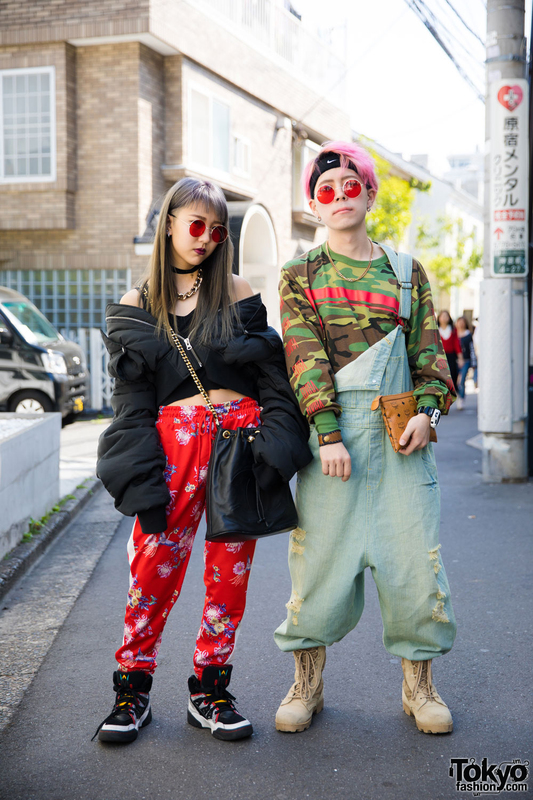 Harajuku duo in all over print and layered fashion with sweatshirt, shorts over pants, white sneakers and handmade crossbody bag, printed pajama pants over t-shirt, pajama pants, platform sneakers and a black crossbody bag.